This fourth iteration of the Screening of Performance Art in the Natural Environment (SPANE) features a diverse mix of performance-based videos. Curated by Tomas Jonsson. 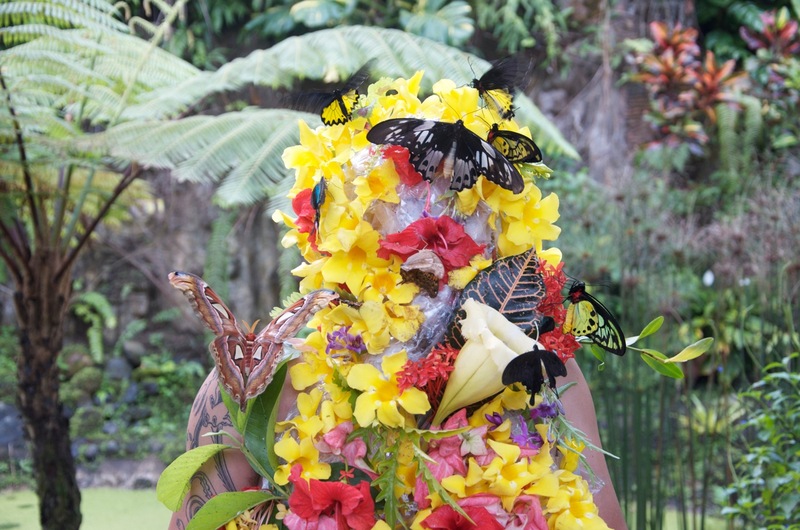 For this project, filmed in the Hindu island of Bali, Indonesia, I covered my body in different foods for wild animals to eat, as if I myself were a religious offering. Is it possible to intervene in the animal kingdom in a way that is ethically correct, to give something to animals without taking anything from them in return? Documentation of performance at Live Biennial, Vancouver. Inspired by ideas of western archetypes, the Canadian landscape, and mystery, I attempt to perform stillness. I want to be a bystander while I orchestrate the river to perform with me. Somewhere between a town, a mine, and a reserve is a line. Scored performance action during MUTOPIA 7 held in Banff. Initially intrigued by an incident whereby a stone he had thrown up in the air fell from the sky hitting him directly in the face, Morelli decided to understand this natural phenomenon. Toomik dancing on his Father’s grave. TOMAS JONSSON is an artist, curator, and writer interested in issues of social agency in processes of urban growth and transformation. Tomas has produced several projects in Calgary addressing the city’s urban transformation, including sites such as The East Village and Hillhurst Sunnyside. He has also curated, presented, and performed work in Canada and internationally, including Artscape Gibraltar Point (Toronto), Suvilahti (Helsinki), and MoKS (Mooste, Estonia). He is currently the Artistic Director of the Mountain Standard Time Performative Art Festival (Southern Alberta), and is completing an MFA through the University of British Columbia Okanagan. JOHANNES ZITS works across many disciplines with a focus on the body and the many meanings it engenders. Since graduating with a BFA from York University in 1984, he has presented work both nationally and internationally. This year, he cofounded the performance art collective No Object and has performed with them in a series of durational works. In November, they will be performing at the Art Gallery of Ontario. Zits will also be presenting solo works in September at Visualeyez in Edmonton and in October at the festival 7A*11D in Toronto. From 2011 to 2013 he curated SPANE and is currently co-curating Duration and Dialogue. M:ST is committed to presenting performative works from a variety of disciplines that reflect current issues and practices in contemporary art. Through exhibitions, performances, and events, M:ST fosters the development of performative art practices among local, national, and international artistic communities.